A friend of mine has a 60th birthday coming up at the end of this month and I am so pleased with myself that I have her gift all but finished (the all but is the binding which will be sewn on tonight and the all important label, which going on past record, will be attached the day I give it to her!). 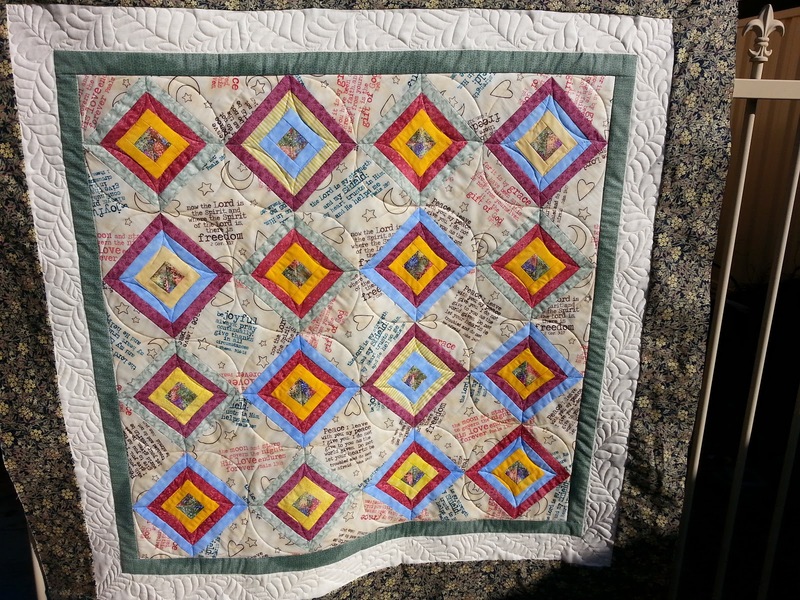 It began with some left over fabric in small triangles that I just couldn't bear to throw away. 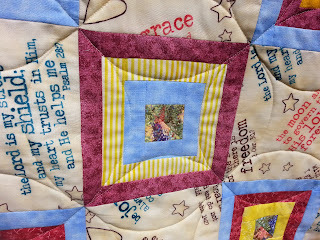 So I joined them to make a square and added borders around that. 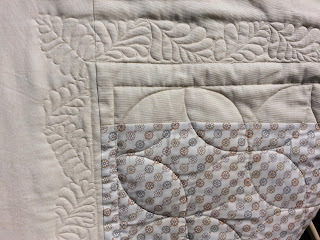 Then I came across some alternate squares that I know she will really appreciate and that helped to make the central panel. 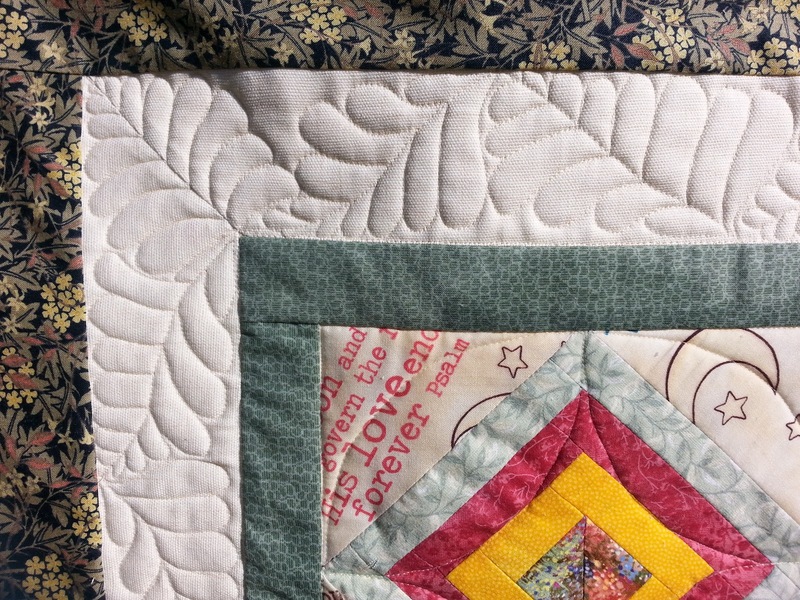 That made it quite busy, so when it came to quilting it needed something quite simple. Orange peel seemed to fit the bill. You can see it quite clearly here on the back which was pieced in a simple print with the same cream as on the front as well. The border though, in particular the cream, was crying out for some feathers. So I obliged and had fun doing them too. They may not be as beautiful as others who may also have a long arm, but my Janome QC 1600P does a good job. I'm pretty sure the recipient will be happy with it and that's the main thing really. 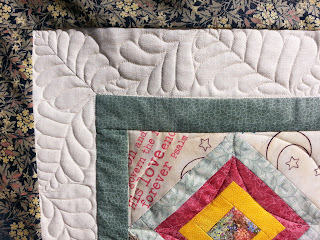 I'm also making another quilt for the same deadline, so it's on to that one now. I'm linking up with Freshly Pieced and Confessions of a Fabric Addict. 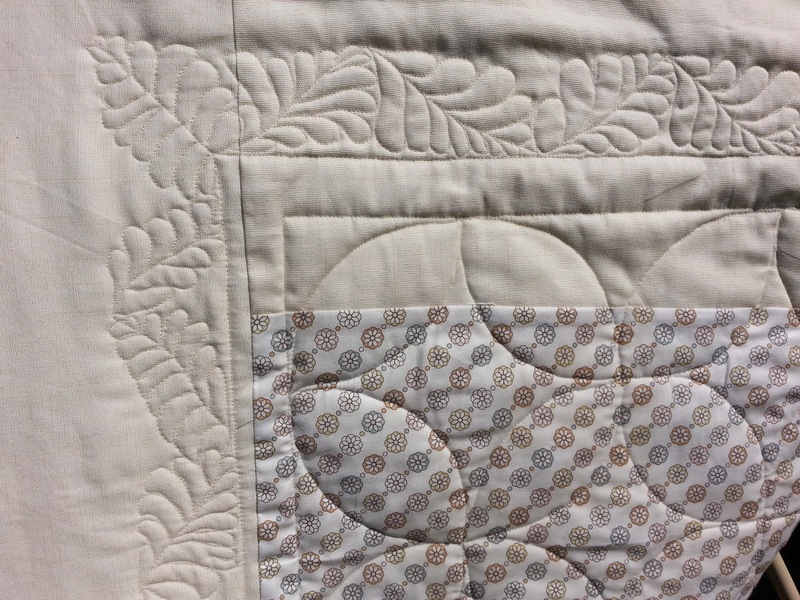 I really like the way you quilted the feather in the border. I never would have thought of that but it looks beautiful! Your friend will be thrilled!